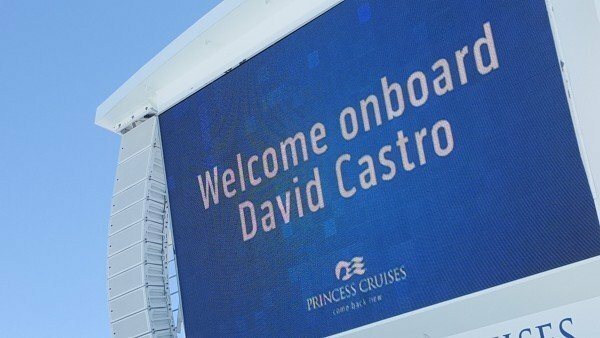 You are here: Home / Holidays, Travel & Adventure / Cruises and Cruising Tips / Will Princess Cruises help you Come Back New? To be completely honest with you I’ve never put a cruise holiday at the top of my bucket list. I’d always (falsely) assumed it was for those who wanted to sit around, eat, drink and be relatively immobile, save for a quick march around the ship’s deck, while sailing the seven seas in search of utopia. But with time, age and wisdom my perceptions are changing … and (ahem) I’d like to eat, drink and search for Utopia. Lol! So when I was invited (along with Dave and other bloggers) on what was termed a culinary immersive on board the Golden Princess, the largest cruise ship to dock in Melbourne, I couldn’t quite understand why I was uncharacteristically so excited about the invitation. I put on my FRANKiE4 sandals and a Per Una sundress from M & S and off Dave and I went to find out what all the fuss is about. Below I’m with fellow bloggers lovely Liz from Good Things and bubbly Janet from Middle Aged Mama. Perhaps I’ve come of age and have reached the cruising demographic. Maybe I was excited by the anticipation of scoffing delectable Norman Love chocolate creations, or tasting award winning Australian chef Curtis Stone’s gourmet menu items? But deep down I think it was a mixture of all that and the idea of experiencing first hand one of the great cruise ships of the world, and I was a little intrigued by the Princess line’s tagline, “Come Back New”. The Golden Princess owns seventeen storeys of white hulk chequered with blue. Inside there are Italian style frescoes and paintings along with grand atriums, great big winding staircases and ornamental Tuscan pillars. It made me feel as if I was stepping into a fantasy. And to boot we all had our names written in bright lights on the ship’s movie screen 🙂 Quite a thrill! 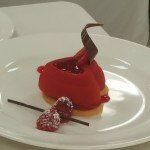 When we were escorted inside a grand stateroom with the old TV series “The Love Boat” airing on the large flatscreen TV, I did feel as if I’d walked into another world: Love and Fantasy with indulgence thrown in. To top if all there was an ever-so-slightly, over-riding sense of being in the move The Titanic, especially when we were embroiled in the first safety drill of the new cruise which was about to head off for Tasmania. Newbie guests carried life jackets and hurried to muster stations at the sound of the alarm. I must say it was all rather thrilling and I kelt on looking around for Leonardo Di Caprio to appear. No, he’s not anywhere below … that’s photographer Rachel from Sesame Ellis and Janet, again. Being treated to a behind the scenes tour was a little bit like having a sneaky peak into someone’s private life because what struck me most of all was the sense of family amongst the crew. The staff we met were engaged and passionate about their jobs and their lives on board ship. You got the sense of commitment and an overriding desire to please the punters. Martin May, the Hotel General Manger is in charge of an army of workers. “I’ve been in the cruise business for 31 years and joined the company when the ships were the size of life boats,” he joked. Martin runs a tight ship but amongst the frenetic activity of seeing thousands of new guests aboard he had the time to be friendly, disarming and amusing, making us feel like the stars of the show. Tasting incredible chocolate creations designed by American Master Chocolatier Norman Love, being wined and dined on chef Curtis Stone’s fresh new culinary creations in a grand dining room, then being treated to a 30 minute pamper treatment at the Lotus Spa were of course cherries on top of the artistically decorated (Norman Love) cake but also very interesting was the guided tour of some of the ship’s amenities and staterooms. At 54 metres in height, and 290 metre length there’s a lot of ship to explore – To give you an idea of it’s enormity, The Golden Princess’s length is almost equal to the height of Melbourne’s Eureka Tower – and that’s Huge! 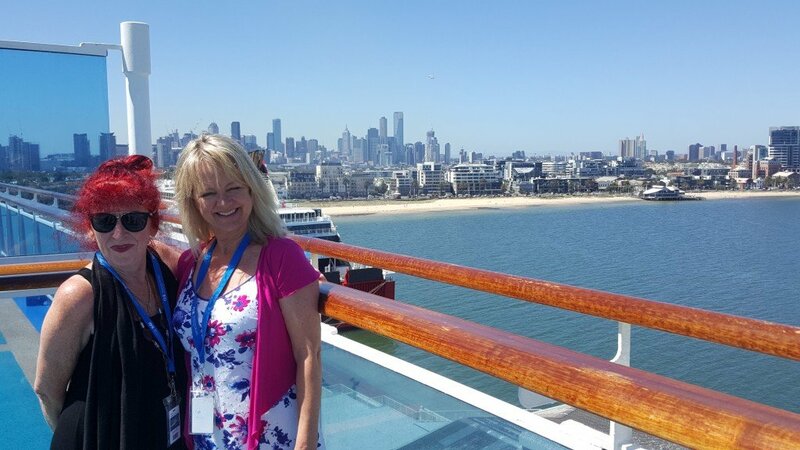 Who wouldn’t want to be whisked away in a large luxuriously appointed ocean view Stateroom with a wide balcony as the ship sailed away from beautiful Melbourne into the blue ocean beyond – Me, I would! I was impressed by not only the size of this massive floating monster, but also by the fact that with over 2600 passengers and 1100 crew the ship didn’t feel crowded. Surely the guests couldn’t all have been hiding away in their suites and cabins? But I guess with 17 decks, 4 pools, 9 whirlpool spas, 12 dining options, two show lounges plus other bars and nightclubs, a sports deck, spa and fitness centre, golf putting lawn, library, video arcade casino and even a wedding chapel … Phew … among other attractions … there really is enough room for everyone to do their own thing somewhere or other. 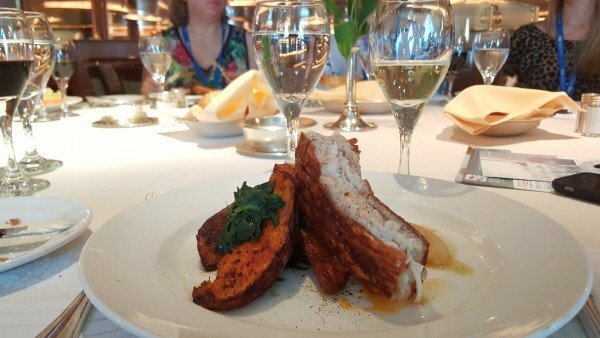 We were treated to one of Curtis Stone’s culinary offerings as part of Princess Cruises “Crafted by Curtis” partnership which features a menu of some of his signature dishes offered in the main dining rooms of Princess Ships. I tried the Roasted Pork Belly with homemade applesauce, crispy roasted potatoes and sautéed spinach. Delish – oh and the crunchy crackling was superb. Dave munched happily through the Beef Osso Bucco, cannelloni puree, and aromatic jus – slowly braised in white wine and chicken stock – he declared it a rich Italian dish much to his liking! 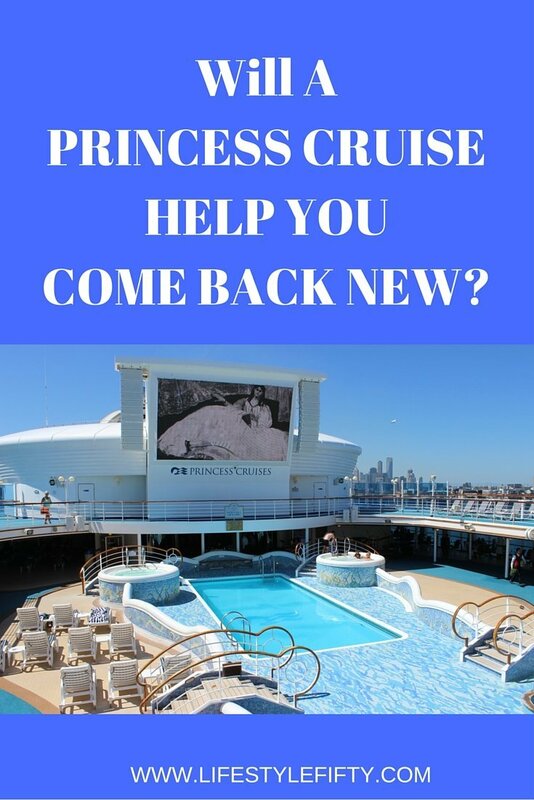 ‘Come Back New’ is the Princess brand promise but having spent a day on board I’m not sure that I haven’t come back everso slightly expanded! The Princess Luxury bed (which I SO want to try out) featuring a new specially designed bed to deliver the ultimate night of sleep at sea. Designed in collaboration with Dr Michael Breus, The Sleep Doctor, and Candice Olson – by 2018 there will be more than 44,000 new beds installed across the fleet. Soon to be rolled out will be Curtis’s first restaurant at sea, called SHARE, which will offer a specialty menu of dishes designed for sharing. New also will be activities and shore excursions encompassing the new Discovery at Sea partnership with Discovery Communications and [email protected] Messenger a new onboard instant messaging service accessed via a mobile app. 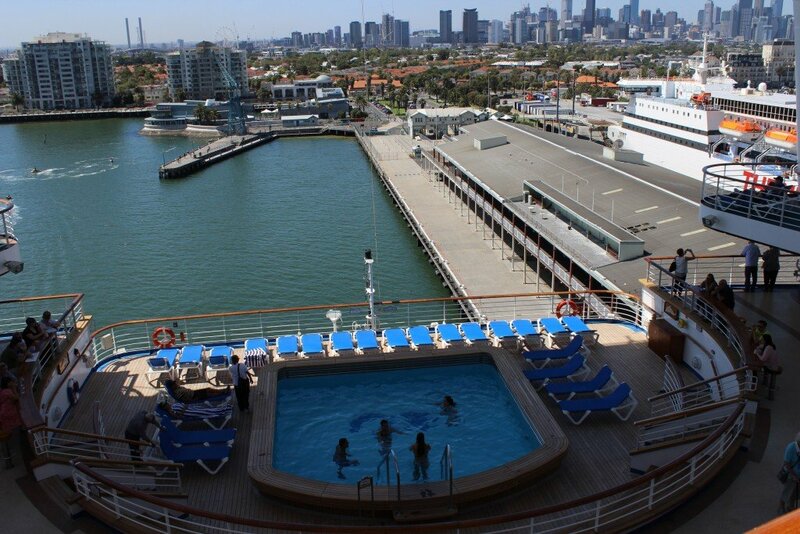 The golden Princess was built in Italy in 2001, and currently claims the accolade of being the largest cruise ship ever to be based in Melbourne. Hosting up to 2600 guests it is double the size of Melbourne’s largest hotel, the Crown Metropol. At 290 metres long it’s one and a half times as long as the MCG and more than eight Melbourne trams in length. Cruise prices start from around $1499 per person twin share for a 10-night voyage to the south Pacific, and go up to around $20,999 for the 104 night global circumnavigation to the Land of the Midnight Sun, visiting four ports in the Nordic region and Arctic Circle. 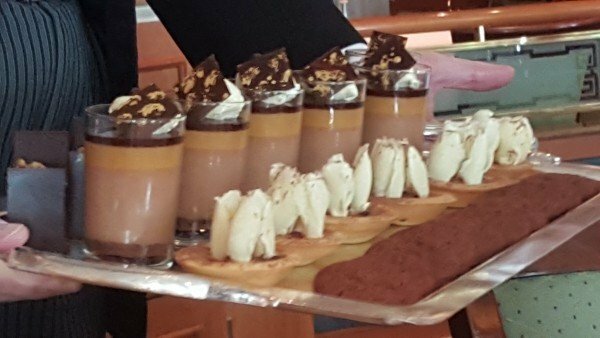 On an average day onboard Golden Princess chefs prepare and serve 1200 sandwiches, 5000 pastries, 2268kg of fresh fruit, 1360kg of fresh veggies, 1020kg of potatoes, 90kg of pasta, 2080 litres of soup, 6000 eggs, 540kg of salad, 500kg of beef, 500kg of chicken and more than 1500 litres of coffee. Phew! Bad luck for the washers-up, they’ll be rinsing 50,000 dishes and 20,000 glasses each day. Now doesn’t that make home-life seem manageable? With Paula above, from Contented Traveller who with Gordon her partner are travel writers, destination and experience marketers. Are your feet getting a little itchy? Mine are! Are you with me? Have you been a-cruising? Where, who with? Or are you a Wannabe like me? 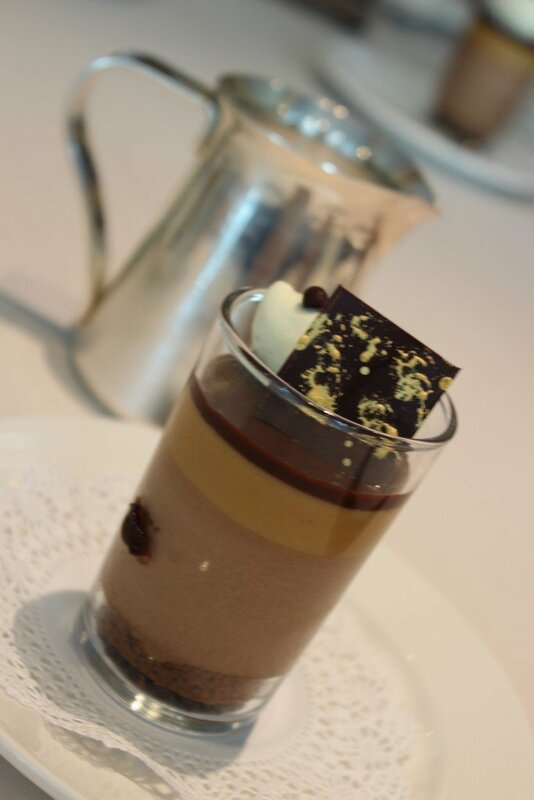 Coming up – A chocolate lover’s dream – watch this space for the next post in my Cruisey Series. Previous Post: « Travel Friendly Shoes Made For Walking and A Giveaway! I went on a cruise when I was 15 years old, not for a holiday but to migrate to Australia from England. This was back in 1962 (that gives away my age!). The ship was the Stratheden, refurbished from war service and it was scrapped after our trip! For me it wasn’t so great as I was too old for children’s activities and too young for adults’ activities, and there was nothing catering for teenagers. The trip itself was good, visiting ports of call along the way. I haven’t hankered after a cruise since then though I’m beginning to like the idea. Have to win the lottery first, though! Hi Christina, what a lovely story! Thanks for sharing. My parents in law travelled on one of the last ships of similar ilk when they emigrated to South Africa. Such a great read Jo during my lunch break at work today !!!! Like you Jo I haven’t had a hankering to go cruising, but reading your post has made me start thinking otherwise. It certainly seems like a relaxing way to holiday. But be careful with the calorie overload!! The grand-state room is luxurious – what do the rooms look like that the rest of us mere mortals will have? We have looked into doing a cruise up along the Kimberley coast but we might have to wait for Lotto for that one! Happy cruising Jo. Me too, Jill … a Kimberley cruise would be the bomb wouldn’t it! 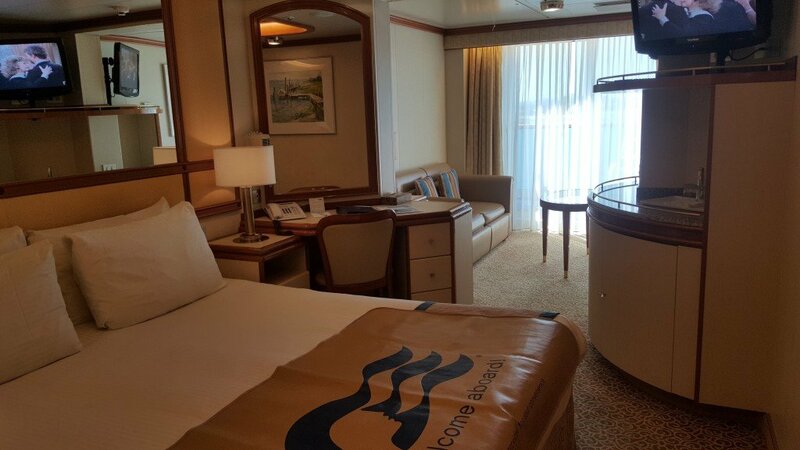 The rest of the rooms on the Golden Princess were nice, comfortable for us mere mortals! I know (and hope) I will get on a cruise one day. A cruise has never been on my radar. Once I went to Tasmania on the fairly large car ferry and felt sick when I was inside in the dining room and had to go back out on deck. When we were on another big ferry boat between Italy and Greece I also had to sit on the deck. I think if I got past that I would enjoy going to lots of different ports and eating gorgeous food and laying in the sun on deck. Yes! 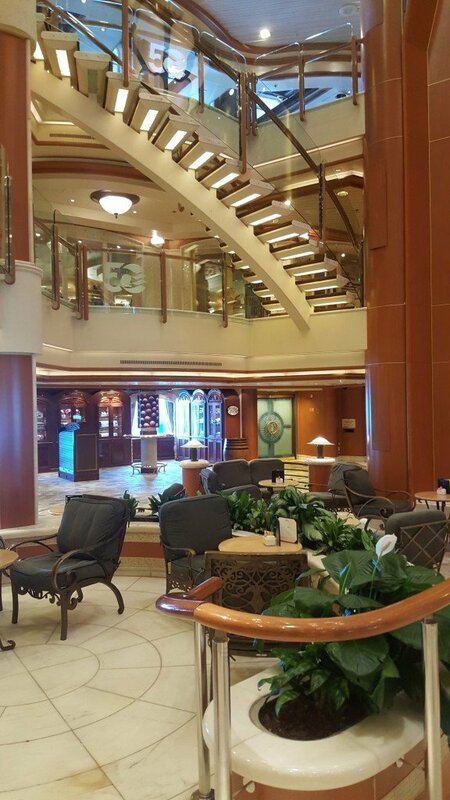 The Golden Princess looks fantastic – lucky you! Hello Jan, sorry to be late in replying. This comment went awol for a while. Oh feeling seasick is so yucky, you just can’t think about anything else, can you. Maybe the larger cruise ships are a bit more stable. Then you could enjoy All Of The Food! HaHa! 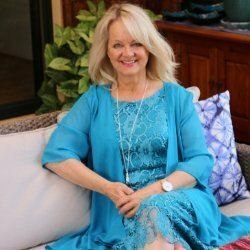 Thanks Paula – and who stalked who all over Melbourne will forever be written in the stars! Too funny! #smallworld and #evensmallermelbourne! OH poor Kathy, the dreaded traveller’s tummy. 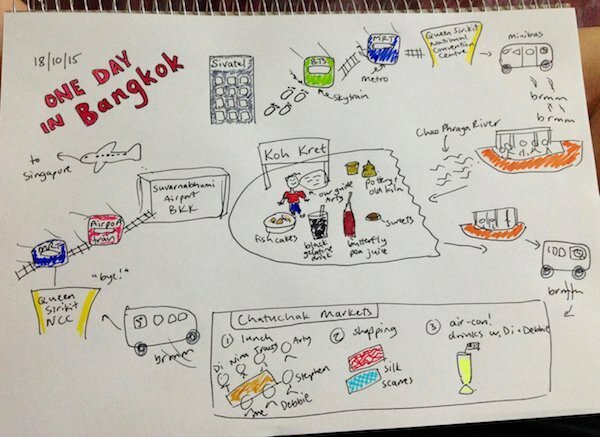 I’m very wary of travelling in Asia after I copped it a beaut when I was staying in Manila. Took me a good 2 weeks to recover. Hope you get better faster than that. 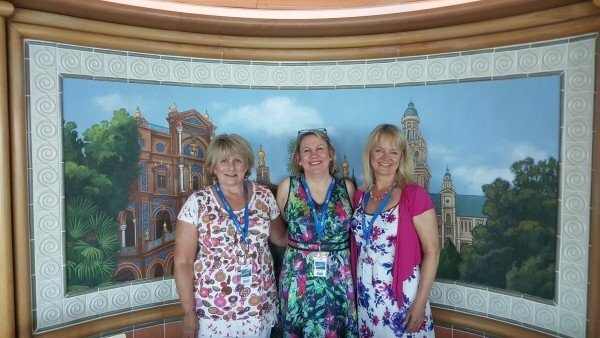 And YES, go for a Mediterranean cruise, we loved ours – as you already know! Glad you didn’t get the tummy bug on the ship Kathy. You are making cruising seem more and more appealing to me. I too would love to cruise The Med. Jo, I’ve taken several cruises and have to say I love them. Just took a river cruise of the Rhine River last summer which couldn’t recommend enough. 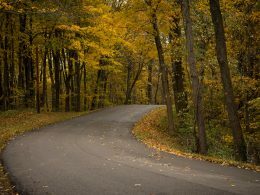 Its a lovely way to see the world and not have to schlep from place to place. Sounds like you had a wonderful time too. Island Princess was a disaster. Over booked and too small to handle the extra 200 passengers above design we came back older and wiser. Oh dear Ronald, that doesn’t sound good. Me the same, Rae. Also know people who go year after year. 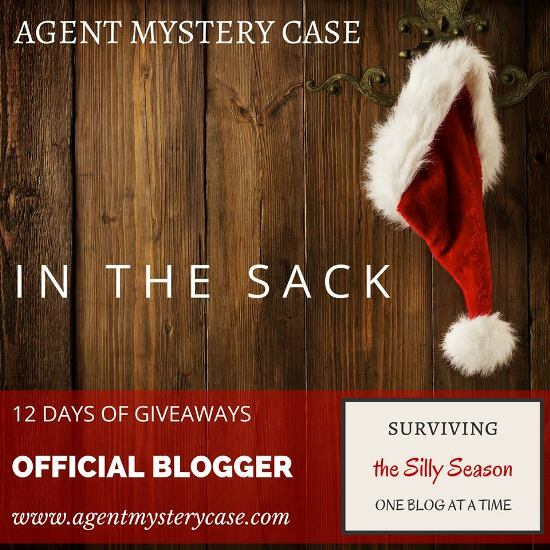 Yes, isn’t Raychael’s bloggie cruise a fabulous idea! Oh very nice. A cruise has never been really high on my list but it has started to creep up a little recently, I mean who doesn’t like to eat, drink and keep an eye out for that tropical paradise to pop into view. Yes, I totally agree Toni! 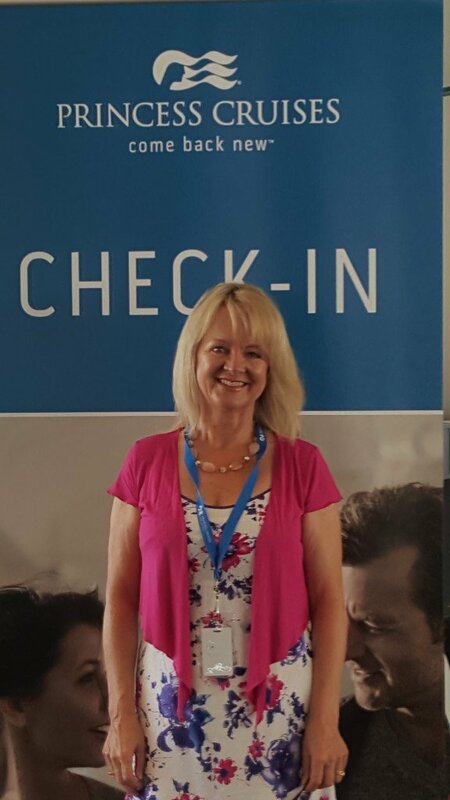 Jo, I’ve been on five cruises and thought I’d seen it all, but I have to say that I was very impressed with the Golden Princess. It just whet my appetite for more and we are eagerly discussing our next trip for my “Festival of 50” next year! It’s interesting to hear feedback from a cruise connoisseur Janet. Your Festival of 50 next year sounds like it might just get off to a good start! 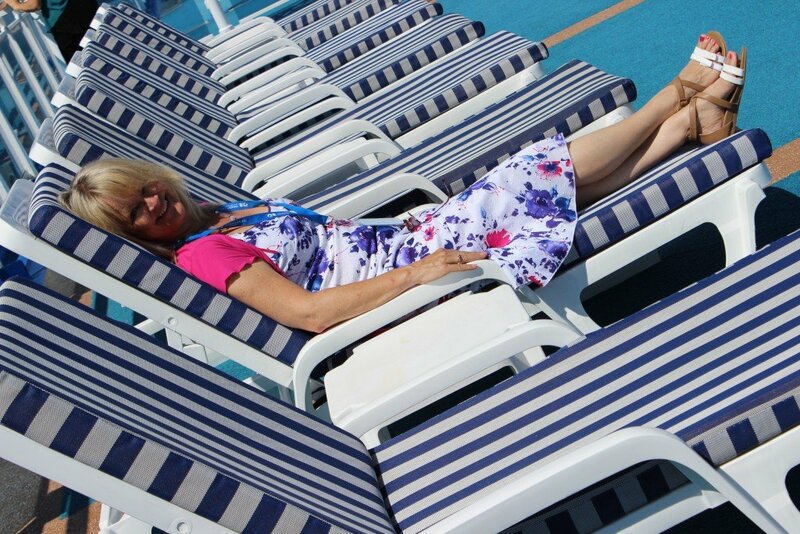 Hi Jo, my husband and I enjoyed a wonderful cruise from Denmark to New York last September, on Regal Princess! It was superb! We loved it so much we have booked another Princess cruise, this time New Zealand to Melbourne on the Golden Princess! Can’t wait!!! Looks fab. 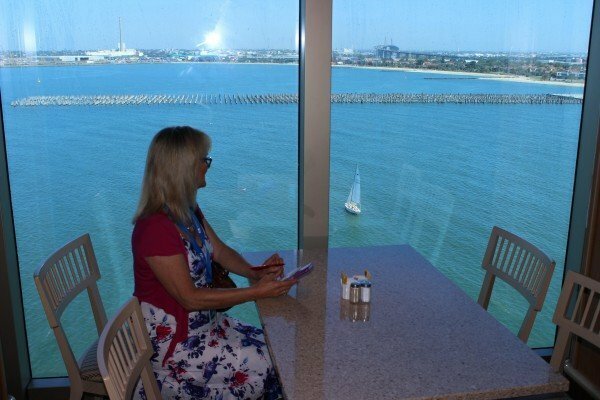 I’ve wanted to host a 3 day blogger cruise out of Fremantle but ever since I put the idea on my crazy ideas list, they stopped running the short cruises over here. Although I believe they are making a comeback but honestly all you hear about cruising at the moment is gastro which is almost enough to turn me off. 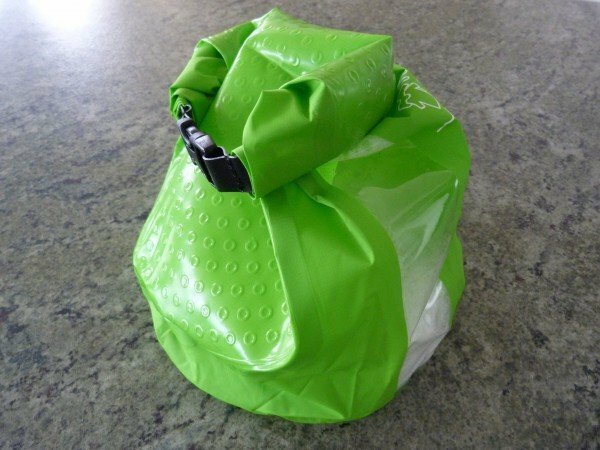 Hi Raych, oh what a brilliant idea that is! Maybe you’ll still pull it off. 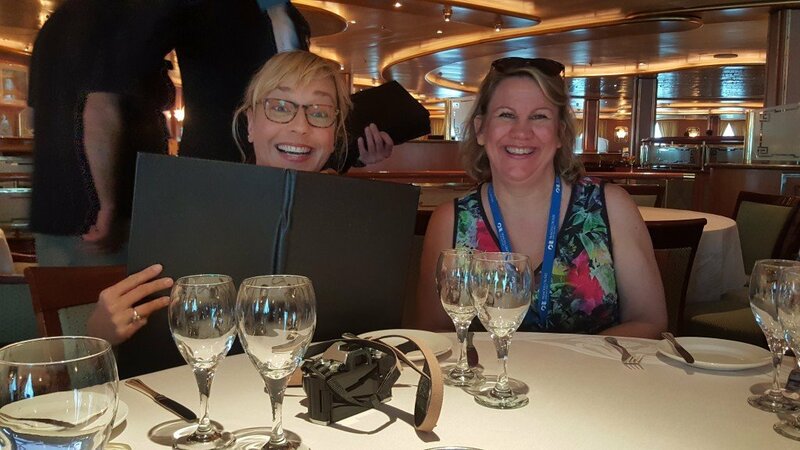 Yes, the gastro which has been in the news was mentioned, but was not taken lightly or dismissed on board the Golden Princess, and there was a big focus on hand washing as we moved around the ship particularly into places where food was prepared or served. Can safely say, we didn’t get gastro. Thank you Liz! And it was lovely to meet you too. Yes, I shall definitely keep in touch – you too!